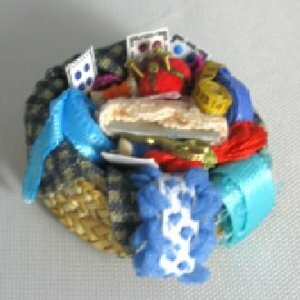 Basket filled with sewing accessories. contents and colors will vary. Please let me choose one for you. Handcrafted in the U.S. by Betty Chudy of Shadowbox Miniatures.